I am in love with my cruiser. I am in love with hooping. So why not combine the two!? Matt recently rigged the Burley so I can carry all the hoops as I bike. 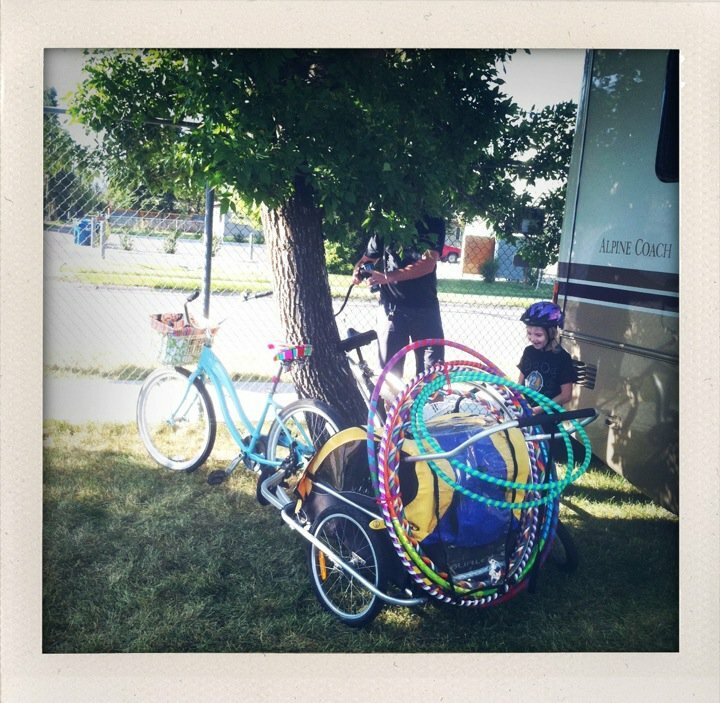 In this photo, we were loading up to go to the Bozeman Hoopers Friday meetup. And it was so.much.fun! 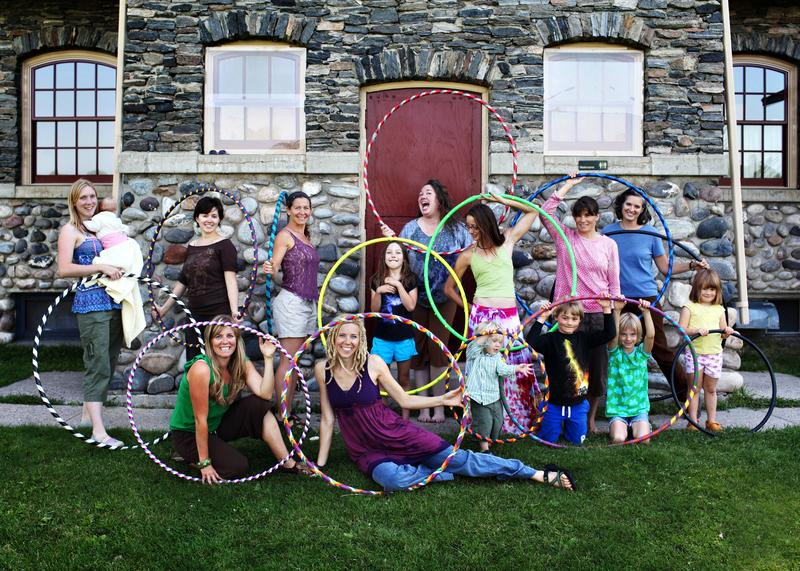 My mind is still reeling from all of the amazing teaching at the Hoop Technique workshop I attended this weekend in Boulder, Colorado. Spiral and Rich were fantastic and I have MUCH to share! I have photos and video and will be working on those in the next couple of days…but I wanted to give you a little “sneak peak”. The above video was taken during a break as Rich demonstrated some of his Isopop techniques. Enjoy! 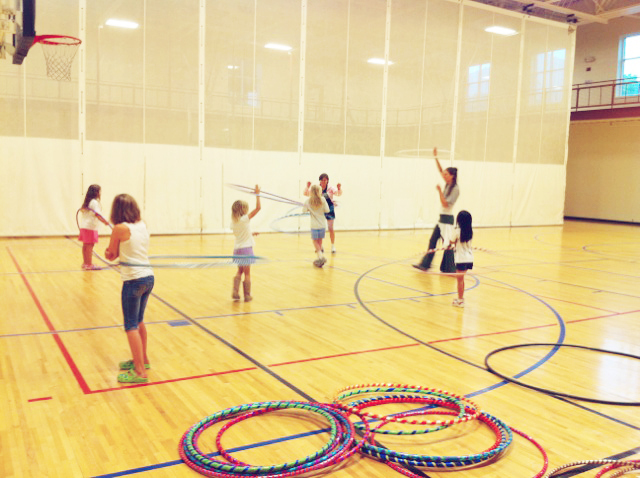 We’re currently living in Golden, Colorado and I was thrilled to find out that there is a lot of hoop love happenin’ around here. I’m guessing that is partly due to the fact that String Cheese Incident got their start in Colorado, and some might say they are responsible for the rise of modern hooping (throwing hoops into the crowds at their shows). Speaking of SCI, they are playing just a few minutes down the road from us all weekend (at Red Rocks). Apparently there are hoopers coming in from all around the country for that event! I might have to sneak down there for a bit. 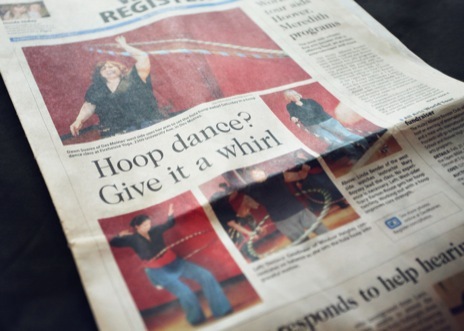 Anywhoo…this week we took some classes from Golden’s hoopin’ girl, Danielle Odette. She holds a kids class on Tuesday nights at the Golden Community Center and an adult class downtown at Buffalo Rose on Wednesdays. 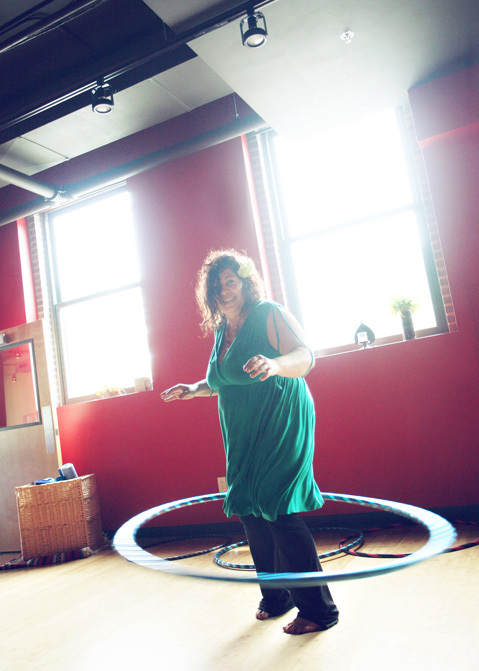 She also teaches in Denver…check out her website for more info. If you’re in the area, be sure to take her classes! 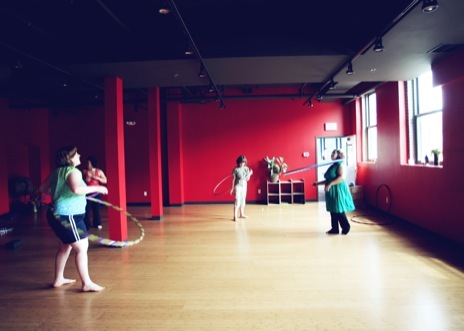 She is an EXCELLENT teacher and an amazing hoopdancer…Bella came home from class SO excited about all her new moves and has been practicing since. Danielle inspired me in many ways as well and I can’t wait until the next class because we’ll be working on a lot of things that I want to learn! Yipppeee! This week we headed down to Denver for the “Discovering Harmony in Duality” workshop with Sam Salwei and Adelaide Marcus. Sam is one of the co-founders of YogaSlackers and Adelaide is an awesome dancer/hooper/performer and is part of the duo “The Shimmy Sisters” based out of San Diego. 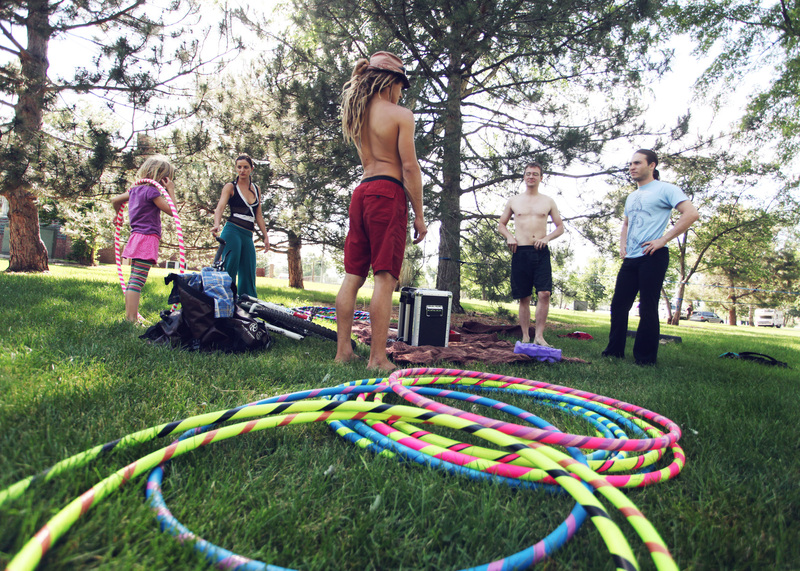 Sam and Adelaide are on a whirlwind summer tour, teaching slackline yoga, acroyoga, hooping, and more! 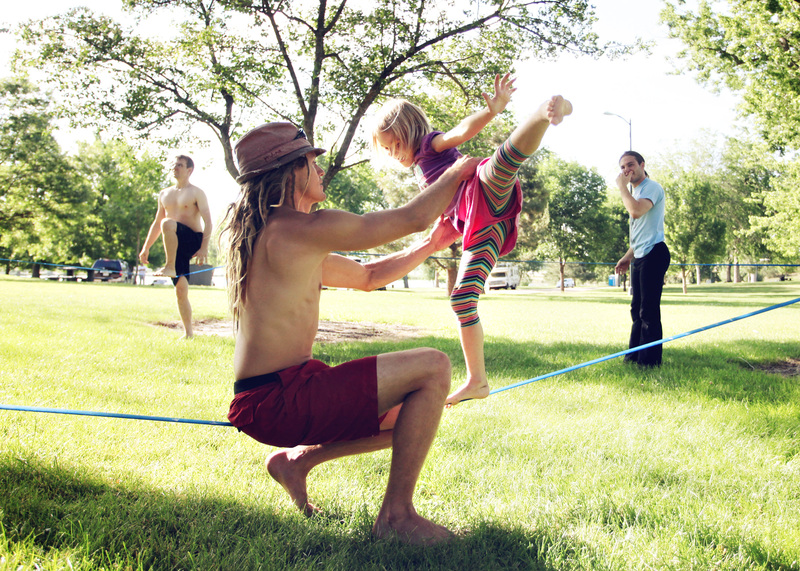 We didn’t know anything about slacklining before we got there, but we’re hooked! 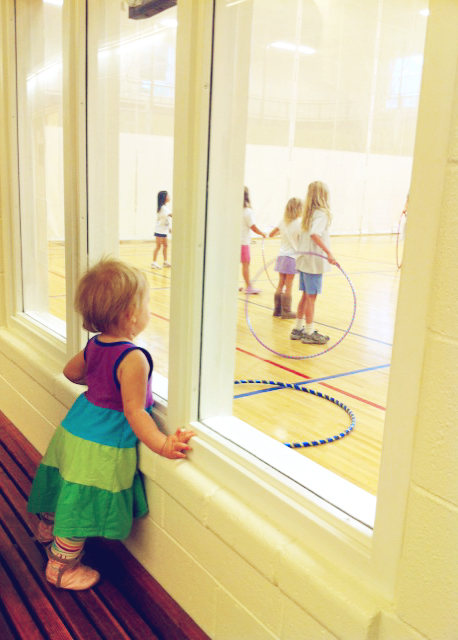 It was so much fun trying to balance…I can see how it could be addicting. It’s great for all ages and is an incredible workout! We had fun watching Sam and his amazing skills. It turns out Sam attended the University of North Dakota at the same time I did…such a small world! Adelaide taught a great class…she demonstrated movements that were new to me…so that was exciting! Including a couple that I’ve been having trouble with. 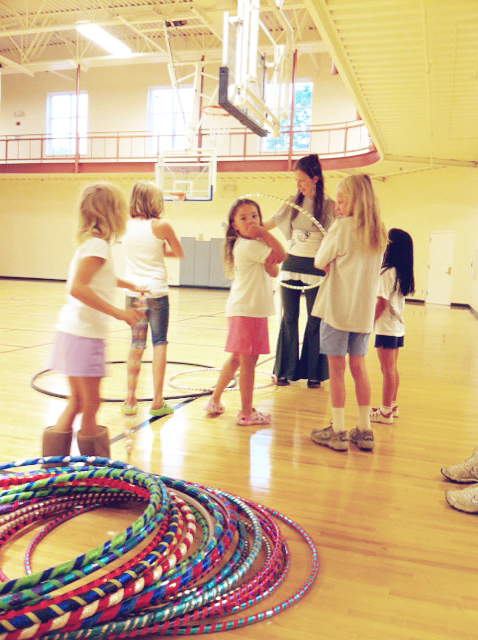 I love learning from new hoop teachers…each one offers a little something in their teaching style that is different from anyone else. I left there challenged and inspired to try new things in my own practice. 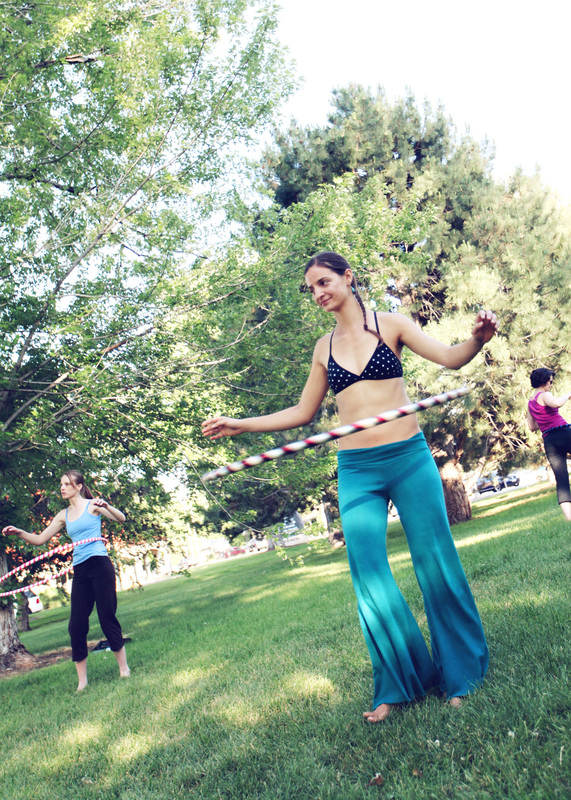 It was also very physically challenging for me…I had gotten up early that morning to do hot yoga, and then did the slacklining and hooping from 4:30-7pm. Whew! Let’s just say I slept VERY well that night. The next day, we were walking on Pearl St. in Boulder and saw a guy laying on his back on the sidewalk, holding someone up with his feet, while she was hooping with her foot in the air. Who else could it be? 🙂 Sam and Adelaide of course! It was fun to see them again. They were in Boulder for their class at Prana that day and then were hanging out with a photographer friend that night. Coincidentally, I follow the #hooping hash tag on Twitter, and I randomly saw their friend’s photos come through the next day. And THEY. ARE. AMAZING. Be sure to check them out! They are headed to the Pacific NW next… check out the rest of their tour schedule and go see them if they are in your town! Check out more photos of the day here.